It’s a little bit like Plazes (which tracks my current location) with the important difference that it lets me book trips in the future, and thus benefit from knowing that I might be in the same city as a friend before it happens rather than while it’s happening. Dopplr is currently closed-beta but if you travel a lot you’d do well to keep an eye on it. Matt Biddulph gave a sneak preview on Flickr of one potentially interesting thing he might do with the aggregated data: sparklines of city popularity over time show easily distinguishable spikes for the major conferences. Nice. I’d quite like to be able to open up my profile for everyone to see, not just friends. If you’re already a user, and we know each other even a little bit, please do add me and I’ll reciprocate. Perhaps, once in open beta, making the profile visible to all might become a user preference. As with most examples of declarative living, the unexpected consequences and emergent properties are what bring the real value. As more friends use it, the more interesting coincidences will occur and the more beer will be consumed as friends get together rather than miss those opportunities. That’s what it’s all about really. More beer. Having met Matt tonight, it seems cool things are afoot. Nice review. Hi Roo! Seems a great service. If it is not too much of a trouble, I’d love to receive an invitation. Thanks! Roo, how frequently do you travel? 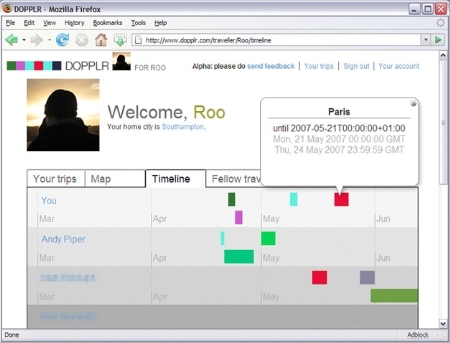 How often has Dopplr matched you with someone? I travel too much. 25,000 miles last year, and I expect a bit more that that this year. I’ve not yet had a Dopplr anecdote, but then I’ve not been using it for that long. Only a few of my friends use it so far, and I’d expect the value to scale the more people are involved. It does look like if I get to Paris a day early in May I may be able to meet up with someone I know there. 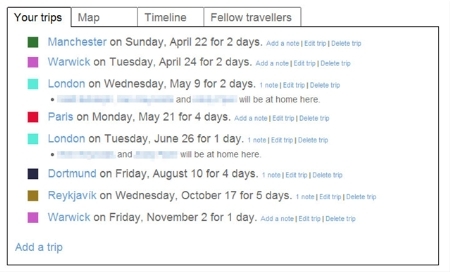 Without Dopplr, we probably wouldn’t have known we were both planning to be there at the same. That’s exactly the kind of thing that would be cool to know. As much as I travel, I’d be surprised if I wasn’t meeting up with someone on at least half my trips. 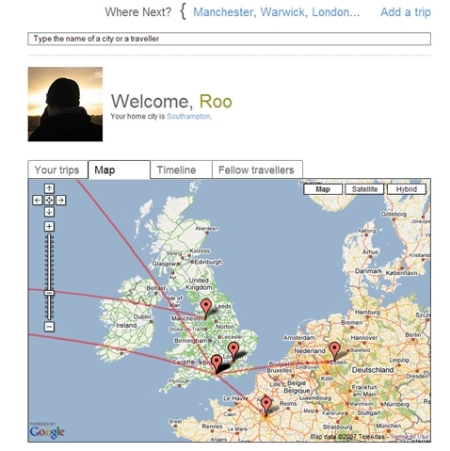 I just bumped into this review and it’s seriously piqued my interest in Dopplr, especially since I do a lot of travelling. If you have any spare invitation codes left, would you please send one my way? I have arrived to your blog thanks to this post; great review of dopplr! I would love to do my own review for my blog; would u be kind enough to invite me please. I am desperate for an invite to Dopplr. Is there any chance?